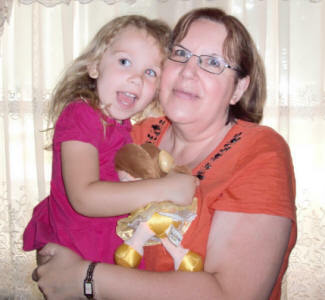 My name is Jodi and I have been an in-home child care provider since 1991 in Indiana. My husband is very supportive of my business. I have 2 grown daughters and 1 granddaughter. My daughters have grown up in my child care. In my free time, I enjoy spending time with my granddaughter, reading, and cross stitching. I am currently working on my CDA, (Child Development Associate). I am also working on Level 3 of Paths to Quality. Member of the National Association for the Education of Young Children (NAEYC) and its affiliates: ECP of Northern Indiana, Indiana AEYC, and Midwest AEYV. © Jodi's Little Stars, 2009 - 2011. No portion of this website may be copied or reproduced.